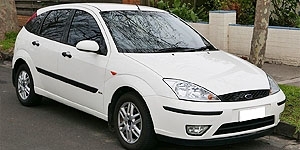 Factory service manual for the ford focus first generation, built between 1998 and 2005, sold until 2007 in some markets. Covers all aspects of vehicle repair and maintenance, as well as rebuild information, for engine, gearbox, differential, suspension, steering, brakes, body components, interior components and electrical system including wiring diagrams. For decades, in the U.S., small cars like the Focus were seen as a tool to draw in younger buyers looking for a cheap basic transportation and to increase auto makers' fleet average fuel economies to meet U.S. federal standards. Ford was said not to concern about losing money on the Focus so the company could sell gas guzzlers for big profits. However, recent sales of new Focus's have been able to maintain lower or overall discounting incentive rates than many competing vehicles in its class. Many industry insiders view cars like the Focus as 'compliance cars' because of their role in helping to bring down the corporate fleet average fuel economy to meet current fuel-economy standards.